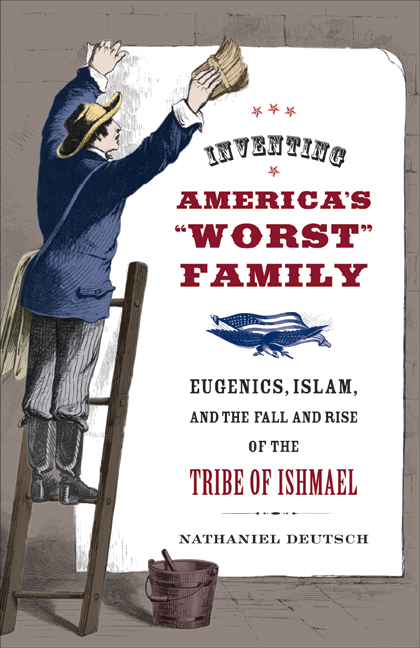 This book tells the stranger-than-fiction story of how a poor white family from Indiana was scapegoated into prominence as America's "worst" family by the eugenics movement in the early twentieth century, then "reinvented" in the 1970s as part of a vanguard of social rebellion. In what becomes a profoundly unsettling counter-history of the United States, Nathaniel Deutsch traces how the Ishmaels, whose patriarch fought in the Revolutionary War, were discovered in the slums of Indianapolis in the 1870s and became a symbol for all that was wrong with the urban poor. The Ishmaels, actually white Christians, were later celebrated in the 1970s as the founders of the country's first African American Muslim community. This bizarre and fascinating saga reveals how class, race, religion, and science have shaped the nation's history and myths. of California, Santa Cruz, is author of The Maiden of Ludmir: A Jewish Holy Woman and Her World (UC Press), among other books.